S.J. Grand Financial and Tax Advisory is committed to your privacy and to responsible handling of any information you provide through this website. Should you have any queries or concerns that you may have about this website, please contact S.J. Grand. We collect information from you when you subscribe to our newsletter or fill out a form. When registering on our site, as appropriate, you will be asked to enter your name, company and e-mail address. In the case of an application for employment you will also be required to attach a resume and cover letter. Any of the information we collect from you may be used to send periodic emails or to respond to a direct employment application in our careers section. The contact data you provide will only be used to send you information and updates pertaining to S.J. 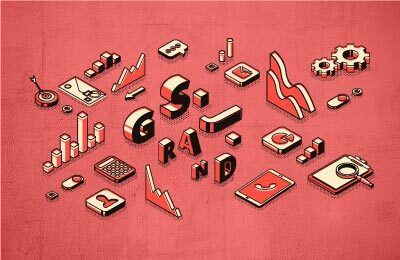 Grand services, your application for a position at S.J.Grand and related information. When users enter our website their computers may automatically be issued with ‘cookies’. Cookies are text files which identify users’ computers to our server. The website then creates ‘session’ cookies to store some of the preferences of users moving around the website, e.g. retaining a text-only preference. Cookies in themselves do not identify individual users but identify only the computer used and they are deleted on departure from the website. Many websites do this to track traffic flows whenever users visit those websites. This website may use third-party cookies to measure use of the website, including number of visitors, how frequently pages are viewed, and the city and country of origin of users. This helps to determine what is popular and can influence future content and development. For this purpose, we may use Google Analytics, to measure and analyze usage of the website. The information collected by us will include IP Address, pages visited, browser type and operating system. The data will not be used to identify any user personally. Please feel free to browse, to search using the tags below or contact an S.J. Grand office if you would like to know more about a particular topic that interests you.